A brand new class of the small arms, the MP-7 Personal Defence Weapon (PDW) is intended to be a defensive sidewarms for second-line troops, vehicles crews and other military personnel. The MP-7 was first announced in 2000, entered production in 2001 and has been adopted by some German special units according to some sources, in addition offered for export sales and for NATO-trials as an another could-be NATO PDW (the only other competitor is FN P-90). The MP-7 layouted as a compact submachine gun, with magazine being inserted into pistol grip, with folding forward grip and retractable stock, all these features are ideally replicated in the Tokyo Marui’s model. Being a high performance submachine gun, the MP-7 real steel is exceptional lightweight (1.7kg), so does the Marui’s replica (1.4kg). The gun can be fired single-handed, or from two hands, either like the pistol or using a front grip. Retractable stock can be extended to give additional stability. With stock and front grip collapsed, the MP-7 can be carried like any big pistol! The AirsoftExtreme website has had a recent makeover to liven things up a bit by Mike. The new design goes for a bit more of a red tinge approach, and incorporates everything that you’d expect. When you go to the main domain you’re presented with a news page and linsk and details about each of their outlets, plus all of their recent reviews can be found on the front page. 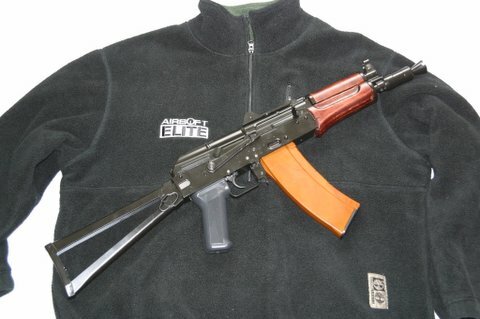 The cost of GARIL AK KIT is too high that will make the price too expensive. We cannot help but stop and put off the plan. Guarder is sorry and apologize to the customers for the inconvenience. After several discussion on the forum, we decide to produce this low power (can’t shoot out B.B.) + lot smoke (baby powder) + loud land mine. We estimate the smoke will only reach to your knees. Moreover, the retail price will be around $20…..
OPERATION: IRON GATE: An unknown rebel group has killed unarmed UN engineers. That were fixing the water lines for farmers in the surrounding area. The rebels claim that the engineers were really fixing the water lines to help resupply the German army that is occupying their country. Outraged by the deaths of the innocent engineers, German officials plan a counterstrike on a stronghold that the rebels occupy in the area. GSG-9 (altho this group is usally only tasked with domestic Terrorist acts) units are ordered to go into the area to find info on this new terrorist group. Then eliminate all rebel threats in the surrounding area. If you attend you will be using a variety of props to simulate the placement and detonation of explosives, along with recovery of various props. The day will basically fall into 3 unique games played, while following a scripted series of events. Last game we had 84 players. Come out and be part of the fastest growing airsoft venue in the Fresno area. The Game is Febuary 19, 2006. 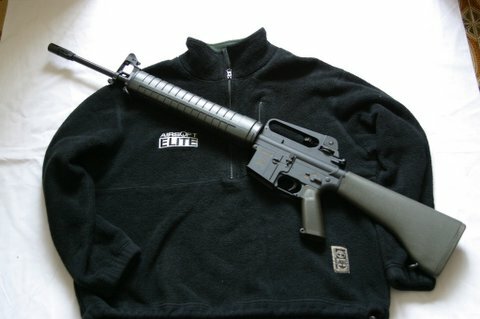 House Bill 4132 to ban Airsoft in Illonois? I am following the news about attempts in the UK to ban airsoft. Thought it would not happen here in the USA. Guess I was wrong! Thought I would drop you a note about this new bill proposed in our state legislature. House Bill 4132 would ban all replicas of “weapons designed for military purposes.” While this appears to be aimed at full size replicas of things like RPGs, clearly this would make airsoft guns illegal (at least those that are copies of military hardware). I urge any of your Illinois readers to check out the Illinois State Rifle Association’s website at www.isra.org and find out how to contact their local legislators to kill this bill. This also would ban real guns that are otherwise legal in illinois (Garands, M1 Carbines, 1911 handguns). Amends the Criminal Code of 1961. Provides that it is unlawful for any person to purchase, possess, use, sell, give away, or otherwise transfer, or to engage in the business of selling, or to exhibit for sale, any replica rocket propelled grenade launcher, bazooka, artillery piece, grenade, mine, bomb, or items similar to weapons designed and manufactured for military purposes or replicas of those items. Provides that a violation is a Class A misdemeanor. 7 Sec. 24-11. Replica military style weapons. 13 manufactured for military purposes or replicas of those items. The LSW is supplied in a box and not in a plastic case like the other STAR AEGs. All new STAR AEGs are now supplied with colour manuals. Also new are the STAR G36 and G36K, �260 and �280. STAR LA80 rifle and carbine. Also available to replace broken STAR M249 box mags are replacement box magazines. You can read about the release on the forums, the price will be around 250USD, using AEP style internals and 7.2V batteries. Edit: Please note that the link has now changed on the TM site so this article has been updated. AD, anyone heard from them? Well I want to add some more updates today (yup I know I’m behind still), but first a request from some of the forum members. I’ve been asked by a few readers to add a simple post here to see if anyone has heard from the chaps at Airsoft Dynamics since the start of the near year. If you have please do contribute to this thread to share any relevant information (please do not email me direct). Hopefully is all is well at AD, but with no official word or involvement I certainly can’t go drawing conclusions on the subject (hint: that’s the legal bit..). More than a few people are reporting placing orders as normal with AD’s store and no response from them attempts to make contact via the usual chanels. Check the thread in the forums for the discussion about this subject. Simply click the link here to nab your copy! Detailed “How To” GunSmith Section! Requests for pyrotechnic articles from Northern Ireland customers: Below is the procedure that must be followed in order for ALL Northern Ireland orders to be approved BEFORE the order is fulfilled. Orders for pyrotechnic articles MUST NOT be placed via our website. Any order(s) that are placed via our website for Northern Ireland will be cancelled / refunded and customers that have done this will be notified of the correct procedure to follow. Subject to the Explosives Act (Northern Ireland) 1970, which deals with making, selling, purchasing, acquiring, transferring or disposing of any explosive. Step 1 – All Northern Ireland customers must first contact ourselves, either by emailing us at sales@frontlineconflicts.co.uk or telephone 01207 230819 (mon-fri 10:00-17:00). We will reserve, in principle, your order of pyrotechnic articles. No payment will be taken at this stage. Step 2 – You (the customer) must then contact your Police Explosives Officer for your local area and provide them with a list of what types of pyrotechnic articles you wish to purchase from us. They will then carry out whatever checks are required for them to say yes or no to your request. If they decline your request, we will not take payment and will not despatch your order. If they approve your request, they will then give you WRITTEN CONFIRMATION that you are allowed to purchase the listed pyrotechnic articles. Step 3 – You MUST fax or email a legible scanned copy of your WRITTEN CONFIRMATION to us. Once we have received your written confirmation, we will then contact the Police Explosives Officer that granted your request to confirm that everything is genuine. Once this has been confirmed we will then contact yourself to confirm your original order and take payment, normally over the phone. Step 4 – Delivery will then be carried out as standard to our delivery policy (normally within 1 working day). The above steps must be followed for every single request for pyrotechnic articles. Even if you have been given approval before you must request it again. The approval you are granted is only for that particular one-off order. Please note: The maximum explosive net weight we will allow for each individual order is 100grams, however, the Police Explosives Officer may at their discretion lower the amount on individual requests. For more information of which pyrotechnic articles contains which explosive net weight please see the table below. Explosive net weight is the amount of powder, not the overall weight of the article. Flecktarn.co.uk wishes everyone the very best from the Christmas and New Year holiday. We are pleased to announce the new H3 Traser watch lineup, all available from 2006. All new items can be seen at http://www.flecktarn.co.uk/news.html. The new H3 Traser watch series combines the best of the permanent light technology from the H3 military line in three classic, Swiss-styled watch lines. These are the Classic line, the Professional line and the Super Sport line. The Classic line is the latest of the watches to be released, and consists of three watches: The classic, which is available in black face and white face; the classic pro, which is available in black; and the classic chrono pro, which is also available in black with black chrono sub-dials and tachymeter. Prices range from �205.00 to �250.00. The Professional line is adapted from the military series and enhanced for professional applications. The line consists of: Black Diver available with orange or yellow face, Black Storm all-black steel watch, Commander 100 all-titanium watch and Trooper all black with clear, red second hand. The professional line of watches are all fitted with robust sapphire crystal glass which is more scratch resistant than the standard mineral glass fitted with the military line. Prices range from �125.00 to �259.95. The Super Sport line is the king of Swiss-made sport watches. These attractively styled all-steel watches are available in black, white and blue, in two main types: Super Sport and Super Sport Chronograph. The steel bezel can be rotated as with all of the watches in the military and professional line. The Super Sport range is fitted with robust sapphire crystal glass and handles sports and adventure with ease. Equally at home whether indoors or outdoors, the prices range from �250.00 to �320.00. We would like to take the opportunity to thank you for your continued support and we look forward to seeing you soon. Happy New Year! I hope this year has been kind to you so far. Things for us have been good. We have been recovering from the holiday seasons. Both from the festivities as well as the work. Well, it is first month of the year and in effort to kick off the year to a good start, we have some great new guns at unbelievable prices. Some quite unique, like the interchangeable barrel on the Desert Eagle. We also have 2 new full sized metal gear box AEG�s from China, for $60 and $90. We have a few product updates to bring you, plus a few new lines. First of all, we have all Multicam sizes available for pre-ordering. Please bear this in mind if you’re considering a set – you can of course pre order any size, which is very advisable if you’re of a medium regular build – the most popular size! We are very pleased to be able to bring the Proud packages to the UK as well, we can offer them at unbeatable prices. Proud have made available, pre-designed chest rig packages based on their RAV, CIRAS and HPC platforms. They come with a range of pouches and are great deals so please have a look on our website. We have introduced a few new items such as batteries from 9.6V 3300mAH large battery @ �35 to the workhorse 8.4V 600mAH mini battery @ �14.50, with others available. Also, we will shortly be stocking the just-released Marui Superior Grade 0.3g BB in packs of 500 – a must if you require consistency or have an upgraded gun. We’ve had the Gripods available for a few weeks now, together with a lot of the Proud vests. Proud have in development, a new version of the Gripod which promises to be just as good as their first version! Also we have managed to obtain a source for the G&P mid capacity M14 and G36 magazines. We hope to be able to offer multibuy deals on them in the future providing they are popular! We would like to remind airsofters of the great deals to be had on our M4 magazine multibuy offer and the great prices on AEP accessories. We will soon be introducing a new forum offer too, so remember to check back there regularly. Just a quick email to say we have a small consignment of the long awaited Tokyo Marui Superior Grade 0.3g BB arriving in the next couple of weeks. They are available to order via the site now which is adviseable due to our unfortunately limited first lot. Have you got a bargain helmet cover yet for just �4? Have a look at the new products page, and new enhanced front homepage.